Photo credit: Kontrast Fotodesign / iStock. In some wines, oxidation is used to create an effect or to ensure that the wine conforms to a particular style. In others, it’s a misstep that leads to a spoiled bottle. And yet oxidation, in which juice comes into contact with oxygen, is an unavoidable part of the winemaking process. The word “oxidized” typically has a negative connotation when used in reference to wine. 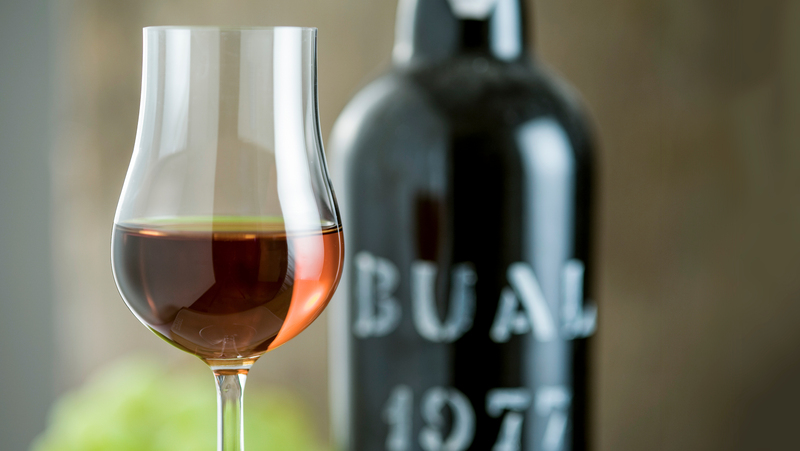 It suggests that a wine has developed a sherry-like color and matured too soon but is lacking in the good qualities typically associated with wines like sherry. When oxidation is a fault, the wine—red or white—tends to lose vibrancy in both color and flavor. Whites begin to brown; reds lose their ruddy hue and become russet or orange. If exposed to air too long, a wine can become oxidized to the point that the acetaldehyde converts to acetic acid, turning the wine to vinegar. The word “oxidative,” however, often describes good things in a wine. Oxidative wines usually have some nutty, savory, umami characteristics on the nose and palate. In some wines this might result in notes of raisins or brown apples; others—such as oloroso sherry, for example—may yield hazelnut notes. 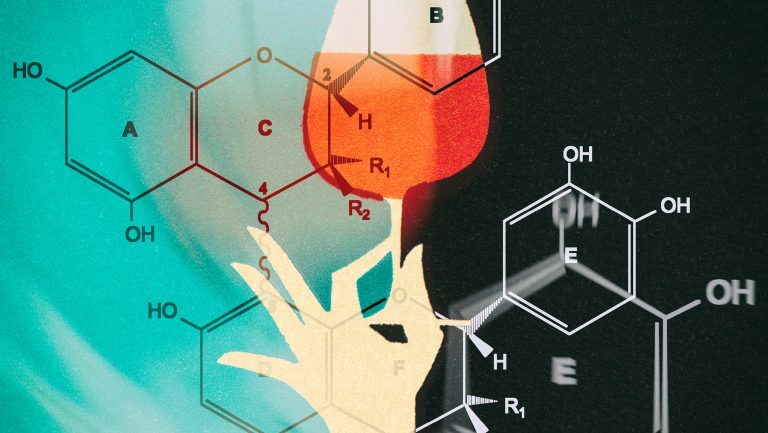 Although many of us still think “oxidation” equals bad and “oxidative” equals delicious,the terminology seems to have become a matter of hairsplitting: This spring, Bon Appétit magazine named “oxidized” its word of the year in recognition of how oxidation has become such a popular winemaking technique that it may now border on fad. Oxidation can begin in the vineyard—the second a grape skin is ruptured and the fruit and juice are exposed to air—and end in the glass. Additionally, a faulty cork may allow too much air to enter the bottle and affect the wine. And of course, leaving a bottle of wine open for too long can cause it to become oxidized. To evaluate the phenolic evolution of Malbec wines during aging in different tank materials, the researchers studied samples of Malbec that were made in 100-liter tanks and then divided (after malolactic fermentation) into three types of vessels—concrete eggs, one-year-old French oak barrels with medium toast, and stainless steel tanks. The wines were then aged for six months, after which the researchers measured dissolved oxygen. Overall phenolic composition and color parameters were also examined at three stages during aging. 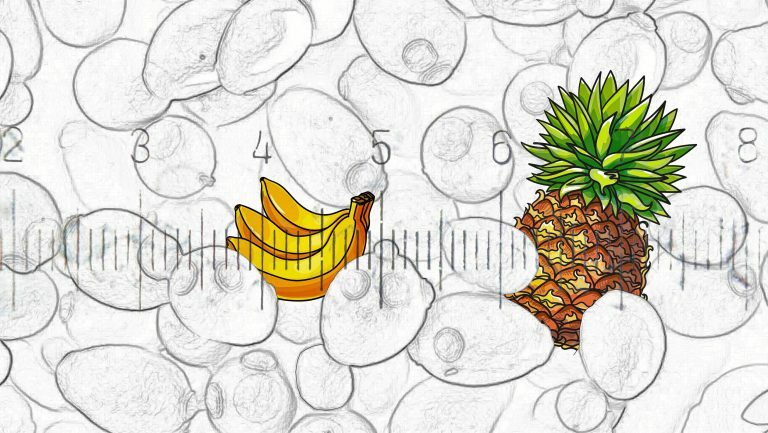 Over the course of the study, concrete eggs allowed more dissolved oxygen in wines, with levels twofold and threefold higher than that permitted by the one-year-old barrels and stainless steel tanks, respectively. This level of oxygenation imparted a relative effect on phenolic composition, creating a tendency toward more anthocyanins, tannins, and polymeric pigments in wines aged in concrete eggs, without significant differences compared with one-year-old barrels. While oxygen might naturally enter wine aged in traditional barrels or in concrete eggs, in stainless steel tanks no oxygen gets in. 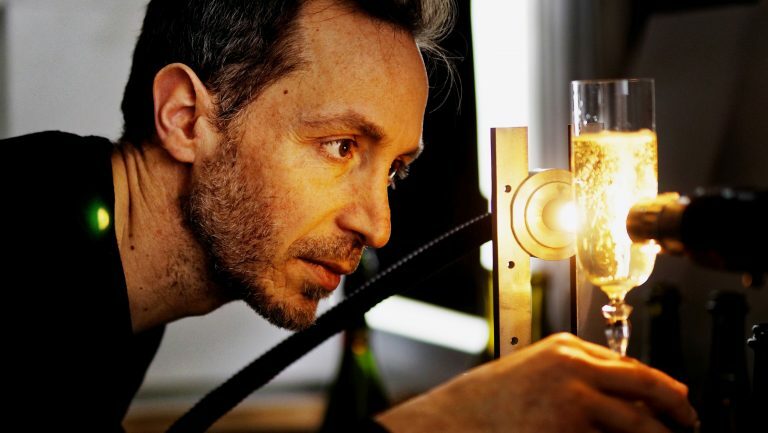 To replace the air, or the effect of air that we’ve become accustomed to in wine, winemakers use micro-oxygenation (MOx), a process that slowly infuses oxygen throughout a wine. The method was developed in the early 1990s, gained acceptance after approval by the European Union in 1996, and has been used extensively on Cabernet Sauvignon wines in California since the late ’90s, according to Waterhouse. In most wines, MOx is used to soften harsh tannins, but it can also increase color in the wine. And, at least in California Cabernets, it can reduce the appearance of methoxypyrazines—also known as pyrazines—a group of compounds responsible for green and herbaceous aromas such as bell pepper. Why—and how—MOx seems to remove pyrazines is still unknown. According to Waterhouse, if you analyze a wine before and after MOx, the chemical evidence of pyrazines will be unchanged, but the aroma and flavor will be gone. While there are numerous ways to prevent unwanted oxidation—including reducing exposure to air during crushing and fermentation—the primary mode is to add sulfur dioxide. Sulfur and oxygen are chemically attracted, and when the two are combined, the oxygen is neutralized and can no longer oxidize the wine. Oxidation, of course, isn’t always a bad thing. Orange wines, which are fermented on skins, are naturally more exposed to oxidation. And there is oloroso sherry, which is aged without the presence of flor and is intentionally oxidized. From Jura, in the far east of France, come wines that are typically oxidized. Made from the region’s Savagin grape, these are known as yellow wine—vin jaune. They’re made in a process similar to that in which sherry is made, but without fortification. To reach an ideal level, or style, of oxidation, vins jaunes are placed in old casks with some room for air. A yeast film forms across the surface of the wine, and the wine remains in the cask, untouched other than the occasional sampling to check alcohol levels and for volatile acidity, for at least two to three years, until the yeast film has fully developed. The resulting oxidative wines are bottled no sooner than six years and three months after harvest. 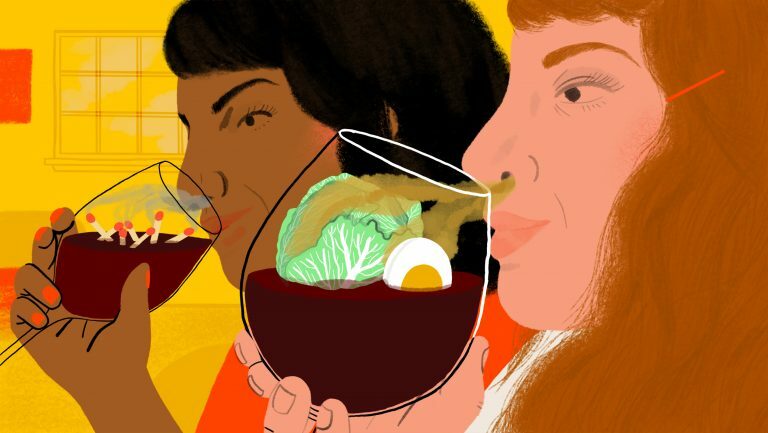 Split the grape as you will: Oxidation these days has moved beyond bad corks and flaws and has become a sophisticated tool that can be used to control against vegetal aromas or to impart to a wine umami or nuttiness—or nearly intangible yeasty characteristics.